Chicago, IL – April 1, 2019 – In-telligent, provider of a personal safety and emergency communications platform designed to keep individuals safe during emergency situations and time-sensitive events, announced today the launch of its Outdoor Division, which is focused on bringing the In-telligent platform and mobile app to golf courses around the U.S. With the In-telligent emergency notifications platform, golf facilities can significantly boost their communication efforts by sending alerts of lightning, severe weather or other dangerous conditions through the In-telligent app to golfers while directing them to safety. The platform can also send normal notifications to specific areas and special interest groups, allowing for targeted communications in non-emergency situations as well. Lightning is one of the leading causes of weather-related deaths in the U.S. Golfers, in particular, can be vulnerable to this danger, given their reluctance to leave the course before they’ve finished the round. Most golf courses have alert systems but they have proven to be largely ineffective since sirens can’t always be heard in far-reaching corners of the course. Additionally, such systems can be expensive to maintain and are prone to malfunctioning. 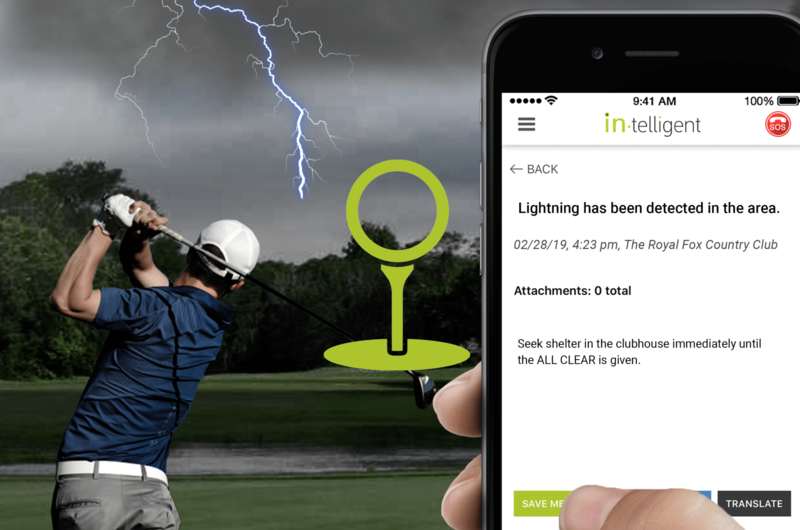 With the In-telligent app on their phone, golfers can receive alerts immediately when lightning or other threats are imminent, and directions on what to do to protect themselves. the systems silent override feature, which ensures an alert is noticed even when a user’s phone is set to silent or Do Not Disturb mode, important messages and updates are noticed by staff and patrons immediately. Additionally, In-telligent can be used to boost communication efforts with event reminders, promotions, and more. or an add-on to a facility’s existing system, In-telligent delivers the warning AND directions for ANY dangerous situation, maximizing a facility’s duty of care for anyone on their property. In-telligent is a technology company delivering a personal safety and emergency communications platform designed to keep individuals around the world more informed and safer during emergency situations and important time-sensitive events. 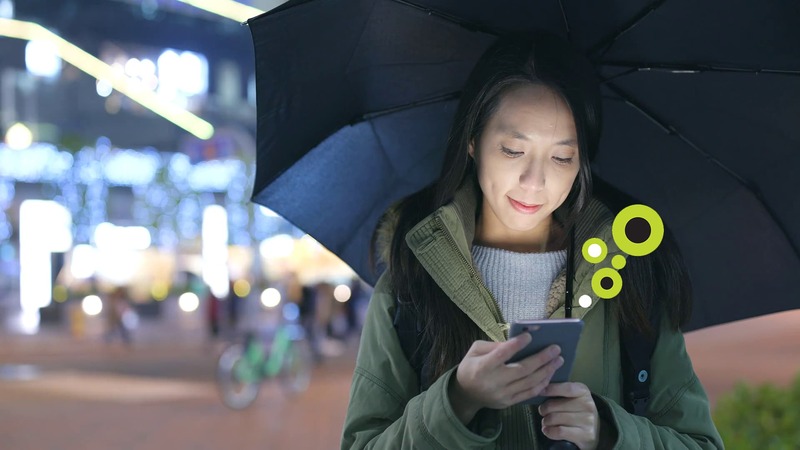 In-telligent provides for the quick delivery, access, and viewing of messages to the right people in the right place even under severe and challenging conditions. The company’s patented methodology for generating a distinct auditory signal, even when devices are in ‘silent’ or ‘do not disturb’ modes, forces messages to be noticed. In-telligent is licensable as SaaS for enterprise and government organizations to integrate via open APIs into their existing apps and communications platforms, and as a standalone iOS and Android app for the consumer market. More information is available at https://in-telligent.com/. “My life was turned upside down on Sunday. I lost almost everything. My wife wasn't feeling so good so she went to take a nap.